Woke up this morning not sure what time it was, but I knew it was chili. It was warm all snuggled in bed. Set the thermostat for 65, I heard it run once but that was a long time ago so I thought it was at least that. Then Jim said we ran out of propane a long time ago, never thought of that. Of course the good husband that he is he got up and put the Genny on, got the heat running again. Now we have another empty bottle to fill. He got the coffee going. Once it warmed up enough I got up. 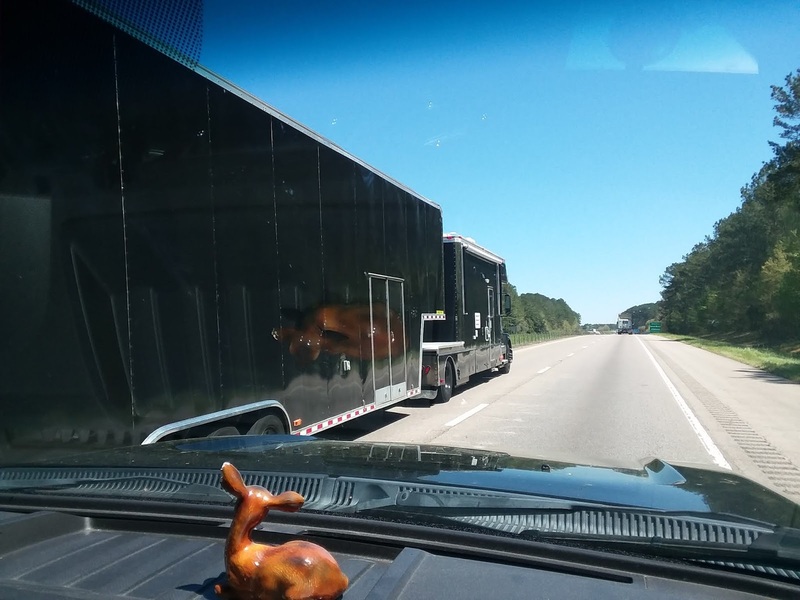 Jim said there was another truck parked close in the front of us, and two small dogs in it. I made eggs for breakfast, and sandwiches for travel. Watch The Today Show as we got ready. I threw away a small bag of trash. We were ready to leave at 8:30 a.m. first time ever. We drove for 45 minutes and then stop for fuel at a Pilot truck stop. Couple hours later we stopped at a rest area, grabbed our lunch. We planned on boondocking One More Night because I didn't want to drive for 5 hours a day. Jim just wanted to get there and be finished driving for a while. I texted Len and Phyllis if it would be okay if we got there a day early. I agreed it was another good hour and a half of driving. We stopped at another pilot filled up again. Could have sworn the ring we stayed overnight with at Sam's Club was there.